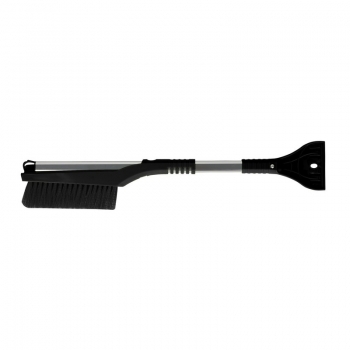 Telescopic ice scraper with broom, extendable. Good quality at a very good price-performance ratio! Measured dimensions: 63 x 12.5 x 3 cm. Prices incl. Laser engraving on the metal handle! Advertising space: 10 x 50 mm.